A young man, broken down in the fog, witnesses a murder he is asked to conceal... A full-length novel adapted by Charles Osborne from Agatha Christie's acclaimed play. A young man, broken down in the fog, witnesses a murder he is asked to conceal... A full-length novel adapted by Charles Osborne from Agatha Christie's acclaimed play. When a stranger runs his car into a ditch in dense fog in South Wales and makes his way to an isolated house, he discovers a woman standing over the dead body of her wheelchair-bound husband, gun in her hand. She admits to murder, and the unexpected guest offers to help her concoct a cover story. But is it possible that Laura Warwick did not commit the murder after all? If so, who is she shielding? The victim's young half-brother or his dying matriarchal mother? Laura's lover? Perhaps the father of the little boy killed in an accident for which Warwick was responsible? The house seems full of possible suspects... 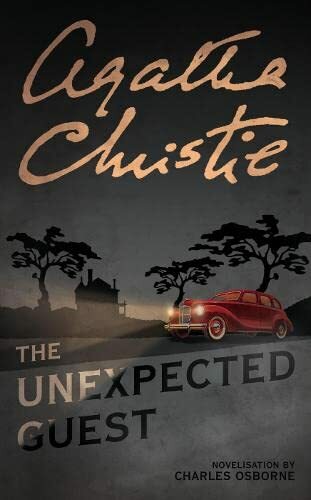 THE UNEXPECTED GUEST is considered to be one of the finest of Christie's plays. Hailed as `another Mousetrap' when it opened on 12 August 1958 in the West End, it ran for 604 performances over the succeeding 18 months and has been staged many times around the world over the last 40 years.